BOUNDARY POND, NH — Not far from this remote finger lake-like pond high in the remote Boundary Mountains of New Hampshire, a Lac Megantic, Quebec-based group called the Sentiers frontaliers has completed a new foot trail. It ends at a rest area just 200 yards north of the Canadian customs office. 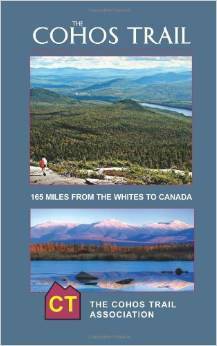 The new trail links to the Cohos Trail and is part of a system that begins at the big gleaming white astronomical observatory on the summit of Mont Megantic at Notre-Dame-des-Bois, Quebec, and runs down to and along the border and then out to Woburn, Quebec and the fine summit of Mont Gosford, north of the northwestern Maine border. 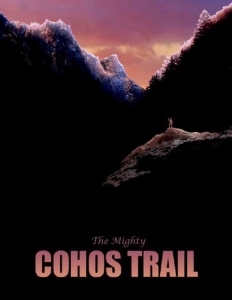 The Cohos Trail and the Sentier Frontaliers trails are now connected at the border, creating a system over 230 miles in length. It is the second international trail system in the East. The Canadians have already built tent platforms at two separate sites north of the border to facilitate the three-day march between the border and Mont Megantic. Most of the way from the saddle where the Customs Station rests to points east and north, the trail underfoot is high elevation ridge. It is possible to view remote terrain that is virtually unknown to most people in the East. To learn more about the Sentier frontaliers, log on to www.sentiersfrontaliers.qc.ca or Canada Trails . Or contact the Sentiers frontaliers Inc., Club de Randonnee, C.P. 23, Lac Megantic, QC G6B 2S5 or call them at 819-583-5515 or 819-583-5496.